This page will explain to you what is involved in the H1 visa, also called the H1B visa. The H1 visa is for Specialty Occupations, and they will be explained below. This article is being prepared for you by an H1 Visa Lawyer, whom you can call with questions at 1-877-223-4684 from Canada or the United States. An H1 visa can only be applied for if you have a Specialty Occupation; if you are not certain whether you are in a Specialty Occupation, feel free to call an H1 visa lawyer at 619-677-5727. A Specialty Occupation is generally required to obtain an H1B visa. A specially occupation is defined as one that requires both a theoretical and practical application of a body of highly specialized knowledge and requires the person to have attained a Bachelor’s degree or higher (or equivalent) OR the work is so complex and specialized that one can assume the knowledge needed to execute the job position that a degree is required. There are several technical requirements to an H-1B visa case. An LCA (Labor Condition Application) must be prepared and a wage survey must be completed. The government has set guidelines as to how much you should be paid, and each job title is dependent on the particular county in which you will work. The LCA demands that an employer pay you at least what other people in a similar position are being paid. If your employer is highly dependent on employees with H-1B visas, or is a willful violator, he or she or it must follow a different set of requirements when the LCA is filed. The amount you make is classified as wages in that they are labeled ‘earnings’ for income tax and FICA (Federal Insurance Contribution Act=Unemployment Insurance). Fringe benefits are not included within the wage rate. Also there cannot be a strike or lockout in progress, and this is attested to in the LCA. A final important issue in obtaining an H-1B visa is that the employer must have a Federal Tax Identification number, which is basically a Social Security number for a business, in order to file. If your employer is a small or new business, you need to advise them to obtain this number as soon as possible; sometime they are able to get this number over the phone. If you apply for the H-1B visa and are approved, you may still have to leave the country. The way this works is that if your visa, for example, expires on July 14th as a visitor, even if you are approved to work on October 1st, you will caught in this Gap…called the cap-gap because it is a gap of time between the time the cap is reached and the time your status expires. Students will not suffer being out of status when their F-1 stay expires, nor will F-2 visa holders. Not only will the stay of the student be extended, so will the person’s work authorization. The student does not have to be in OPT status for this to occur. OPT is Optional Practical Training, the period during which a student is able to work. The person’s status is extended to October 1st. A lot of people think that only corporations can hire them, but that is not the case. The employer for an H-1B visa must be a US company. An H-1B visa is very different from the H-2 visa, although they are both popular work visas. The H-2 visa is primarily used for people without a degree, The H-2 is for filling a temporary need whereas the H-1B visa is for temporarily filling a need for a permanent position. WHAT TYPE OF POSITION CAN IT BE? Acupuncturist; Chiropractor; Dietician; Graphic Designer; Human Resource Manager, Industrial Engineer, Interior Designer; Journalist; and Medical Technologist. The standards do, of course, apply to positions such as teachers, lawyers, accountants, and engineers. Know though, that in some of these positions, you are required to be licensed in the specific state or area you are in, and that must be followed. 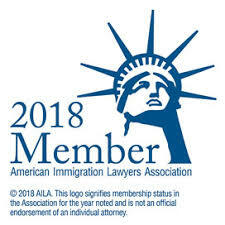 If you have a position, and are seeking an H1 visa lawyer to represent you, call now for a consultation and if you are a student, ask for your student discount! Toll-free 877-223-4684 and from outside the United States 619-677-5727.